Indeed, education is an on-going process. One is never too young or too old to pursue tertiary education. With the knowledge that you have, you will be able to contribute better to your organisation and eventually boost your career with a leap in self-development. Calling out all individuals who desire to attain their Bachelor’s Degree while working! January 2019 intake is now OPEN. 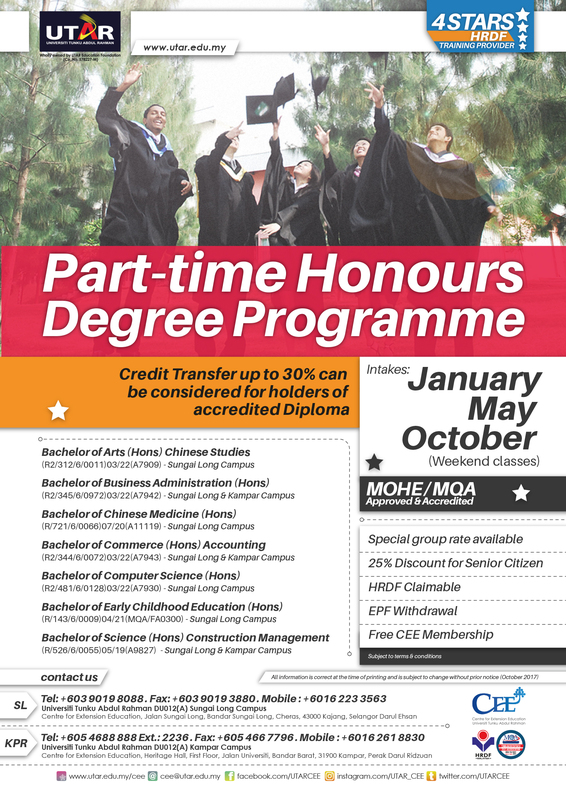 Enrol now for any of our Part Time Honours Degree Programme at UTAR Kampar Campus. 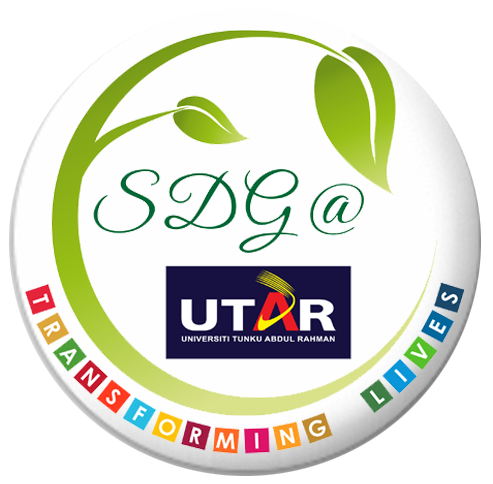 For enquiries, please contact Ms. Joyce at Tel: 05-468 8888 Ext: 2236, or Email: looyh@utar.edu.my.